Several years ago, I worked as a director for an art gallery/broker. We had a number of people come in with different artwork looking for appraisals. Some turned out to be fairly valuable, most did not. This is one of those times. Client: I have a painting and I would like to find out how much it is worth. Me: No problem, I can definitely help you with that. The client hands me the “painting” and I immediately recognize it as a cheap print of a semi-famous artist. Me: I’m sorry to tell you this, but this isn’t actually a painting, it’s a print. And, because it isn’t signed or a limited edition, it isn’t really valuable. 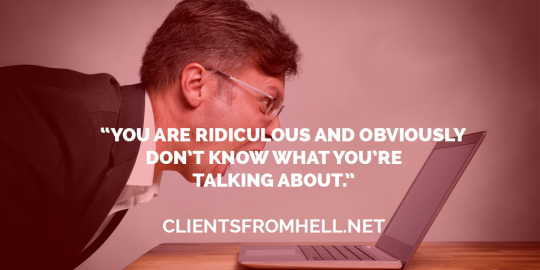 Client: How do you know? I was a little miffed that I had to explain that I was experience and knew what I was talking about, but hoping that they simply wanted to be educated. Me: First, there is no texture from the paint. Second, it is on cardboard which no painter would ever do because it isn’t a quality substrate. But, most of all, (I hold up a magnifying glass to the print) do you see those dots? Me: Those dots are created from the printing process. Client: I don’t believe you. This has been in my family for a long time and I know it’s worth a lot of money! Me: Well, I’ve given you the facts. If you think I’m wrong, feel free to take it somewhere else to get it appraised. Client: I will because you are ridiculous and obviously don’t know what you’re talking about! They left, refusing to believe that their “painting” was no more than a cheap print that you could buy at a garage sale for a buck.